"I developed an absolute passion for creating jewelry and integrated a lot of other materials into my designs when I literally stumbled into the gorgeous crystallized agate stone known as 'druzy.' I quickly realized that I was onto something unique and spectacular." These were the words of famous boxing heavyweight Muhammad Ali, and the favorite quote of jewelry designer Monica Mauro. It is rare to find someone with a living understanding of their passion and rarer still to find someone willing to drop everything to pursue it. The inspiring truth is that it can be done, it has been done, and it will continue to be done by people like Monica. 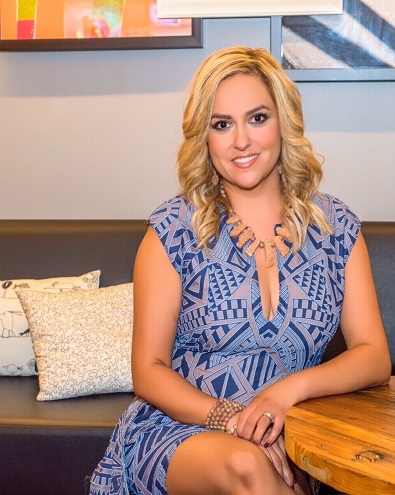 Born and raised in Mexico, Monica pursued higher education at the Universidad Autónoma de Chihuahua and has taken an intriguing route to Arizona, where she currently resides with her family. With only three years in the spa industry, Monica’s determination and persistence have placed her right where she has always wanted to be. “I had been an elementary school teacher in Dallas for ten years,” said Monica, “always feeling a pull toward the creative side. I often fed this creative bug by offering dance classes or art classes to my students but decided to take it a step further and quit my job to pursue my own business in the world of Ceramic and glass fusion. I eased my way into this field again by teaching others and eventually started selling my own creations which included glass jewelry. I developed an absolute passion for creating jewelry and integrated a lot of other materials into my designs when I literally stumbled into the gorgeous crystallized agate stone known as 'druzy.' I quickly realized that I was onto something unique and spectacular. Monica would gain some serious confidence by winning the title of “Designer of the Year” from Phoenix Fashion Week for her collection, which is set apart from other lines by the druzy beads’ broad range of colors and sizes. Her jewelry is a perfect blend of colorful and bright, yet still maintains a natural earthiness. Agate acts as the base stone in every piece, making it perfect for spas due to its known healing properties and positive energy conduction.